Welcome to the home page of the 28th Georgia Volunteer Infantry of the American Civil War! This site is a project of the 28th Georgia / 123rd New York Volunteer Infantry reenacting unit, a non-profit organization, that allows us to share information about the 28th Georgia. Much of the information on this site was submitted to us from decendants and historians of the 28th Georgia and we thank all of you for your contributions and support. If you would like to submit information about the regiment, please contact our webmaster. Shown in this photo c. 1896 is the sunken road running through part of the Antietam Battlefield. In the distance can be seen South Moutain. The 28th Georgia was heavily enganged on South Mountain on September 14, 1862 and suffered 21 casualties. 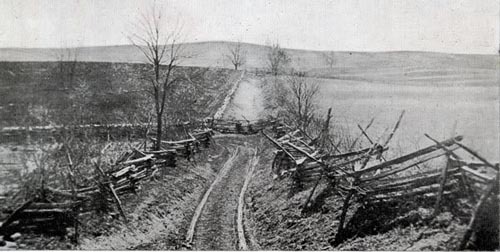 Three days later during the Battle of Antietam, the 28th Georgia was again heavily engaged in the cornfield adjacent to the sunken road and suffered 42 casualties. 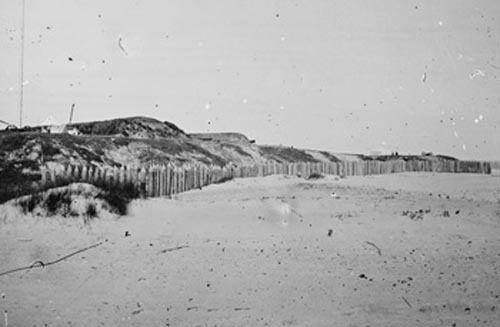 This photo of Battery Wagner was taken in 1865. The 28th Georgia was stationed on Morris Island from August-September, 1863. On August 5-6, the 28th Georgia defended this part of the beach in front of and on the extreme right of Battery Wagner. During their time on Morris Island, the 28th Georgia suffered 13 casualties. © 2018 The 28th Georgia / 123rd New York Volunteer Infantry. All rights reserved.